It is clear that from the time Paxman launched its first range of diesel engine in 1927, the Company had its eye on the marine market. Its first publicity booklet about these oil engines (Publication No 931, issued in 1927) was entitled Marine Oil Engines for Auxiliary Work, Lighting Sets, Etc. It was not long before the Company began to supply engines for marine propulsion as well as auxiliary duties and, during the 1930s, Paxman successfully established itself in both these markets, selling to the Navy and to commercial owners. During the Second World War the Company was fully occupied building engines for the British Admiralty. After the war the Royal Navy continued to be a very important customer but non-naval marine markets also came to provide a major stream of business. By February 1978 Paxman had built more than 1,200 RPHs alone, for auxiliary duties in commercial vessels. A large proportion of these were for electrical power generation on cargo ships, such as the SD.14 Liberty Replacement Ships built by Austin & Pickersgill during the 1960s and 1970s. Paxman has continued to supply engines for non-naval marine applications, both propulsion and auxiliary, up to the end of the 20th century and into the new millennium. It would be impossible to compile a comprehensive listing of non-naval marine installations of Paxman diesels. The page is intended to give a flavour of the wide range of non-naval vessels for which Paxman has supplied engines, and of typical applications. If you have suggestions for additions, corrections or other improvements to this page please do contact me with details. Details of naval vessels supplied with Paxman engines can be found on the pages Marine Applications : Royal Navy and Overseas Navies - Surface Ships and Paxman Submarine Engines. Both built by Cammell Laird in 1932 for the Great Western Railway to operate on its Fishguard services. Each fitted with one 2-cylinder MF auxiliary, rated 70/77 bhp at 500 rpm. Paxman Contract Nos 17805/6, Engine Nos 23835/6, despatched October and November 1931. Each built by Swan Hunter & Wigham Richardson Ltd for the Southern Railway Company in 1934. Each fitted with one 3-cylinder MZ auxiliary, rated 60/66 bhp at 600 rpm. Paxman Contract Nos 18191/2/3, Engine Nos 24221/2/3, ordered in September 1933 and despatched during the summer of 1934. Built for Coast Lines Ltd, each of these vessels was fitted with Paxman MZ auxiliaries. 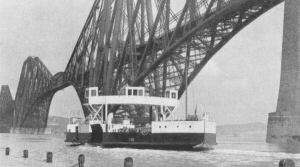 'MV British Coast' (pictured right) was ordered in 1933 and built by Henry Robb Ltd, Leith. Two 4MZ auxiliaries, 100/110 bhp, each driving a 60kW Campbell & Isherwood DC generator at 750 rpm. 'MV Atlantic Coast' ordered in February 1934 and also built by Henry Robb Ltd, Leith. Two 4MZ auxiliaries, each driving a 60kW Campbell & Isherwood DC generator at 750 rpm (engines despatched June 1934). One 3MZ auxiliary, 75/82 bhp, driving a 45kW Campbell & Isherwood 220 volt DC generator at 750 rpm. 'MV Pacific Coast' ordered in August 1934 and built by Ardrossan Dockyard Ltd. Length 250 foot. Two 4MZ auxiliaries, rated 100/110 bhp at 750 rpm, and one 3MZ, rated 65/71½ bhp at 650 rpm, driving a DC generator. The three engines despatched 29-03-35. 'MV Ocean Coast' - Built by Henry Robb Ltd, Leith, in 1935. Two 4MZ auxiliaries and a 6RQ auxiliary. Ship later renamed 'MV Effy'. 'MV Pembroke Coast' - Built by Henry Robb Ltd, Leith, in 1936. Three Paxman auxiliaries (probably 6RQ engines), each 60 bhp at 1,000 rpm. Built by William Simonds & Co Ltd, Renfrew, in 1934 for Burmah Oil Co for operation at Rangoon. Length 164 ft, breadth 41 ft. One 5-cylinder VY, rated 400 bhp at 500 rpm (despatched April 1934). Built by Thomas Cook and Son Ltd, Cairo for the Egyptian Star Navigation Co Ltd, Cairo. As at June 1935 the first three were in service and the other two on order. They were for towing barges, loaded with cotton and general merchandise, between Alexandria, Cairo and Assiot and worked day and night. All fitted with MH engines, 10.3/8" bore x 15¼" stroke, producing 40 bhp per cylinder at 330 rpm, running propellers at the same speed. The first three tugs were each single screw driven by a four-cylinder MH (these engines were Order Nos 18326/7/8, despatched July 1934). They had a design speed of 10 mph, were 66' long and with a 16' beam. The fourth tug was twin-screw, each propeller being driven by a 4MH, developing 160 bhp (Order Nos 18652/3). The fifth had a two-cylinder MH developing 80 bhp at 330 rpm (Order No 18654). Paxman auxiliary generator set, 190 bhp at 540 rpm. Both built by Harland & Wolff, Belfast in 1936 for the Burns & Laird Line Ltd, for service on the Ardrossan-Belfast route. Twin screw, gross weight 789 tons. MRZ ? auxiliary engines. Built by the Smith's Dockyard Company, circa 1936, for the Erith & Dartford Lighterage Co Ltd. 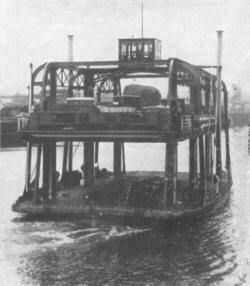 The first diesel-electric tug to operate on the River Thames. Gross weight of 61 tons. One 8MX, developing 440 bhp at 650 rpm, direct coupled to a 290kW GEC tandem generator. One single cylinder RQ auxiliary, producing 11 bhp at 1,000 rpm, driving a 110 volt 5kW generator, a Reavell air compressor and a Hamworthy bilge pump. Twin screw vessels, built by Ferguson Brothers (Port Glasgow) Ltd. Ordered by Crown Agents for the Colonies for the Transport and Harbours Department of British Guiana Railways. Length 125' 9", beam 29'. Each fitted with two 6-cylinder MRZ propulsion engines, each producing 180/200 bhp at 1,000 rpm and coupled to a propeller through a reverse/reduction gearbox. Average speed 8½ knots, maximum nearly 10½ knots. The engines for Barima cost £1,970 each. 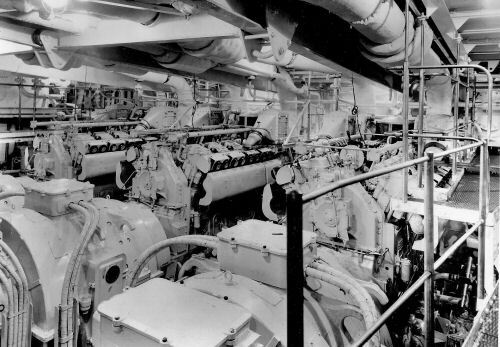 Each ship also had one 47 bhp 3RQ generator set producing 16kW, and one 53 bhp 4RQ set producing 30kW, each running at 1,100 rpm. Built (1937 ?) for British and Irish Steam Packet Co Ltd. Three Paxman 4-cylinder auxiliaries. Built by Ferguson Brothers (Port Glasgow) Ltd for the Clyde Navigation Trust. Completed in 1938, this vehicle ferry plied between Govan and Partick, in Glasgow. The passage time was estimated to be about two minutes, followed by a four minute wait at the end of each journey. Because of the rise and fall of the tide, about 12 foot at the crossing, the vessel was equipped with an elevating platform which could be raised or lowered to the level of the quay at all states of the tide. The ferry had twin screws at each end but no rudders, being steered solely by the screws. LOA 82 ft, beam 44 ft, draught 12 ft to main deck. Designed by F Gordon Pratt of Cox and King, and built by Swan Hunter and Wigham Richardson, Wallsend, for the Royal Navy (in 1938?). Two 16VRB engines for propulsion, each rated 1,000 bhp at 1,750 rpm; the first marine application of the VRB. Each engine was coupled to a propeller shaft through a Wilson gearbox, with two forward ratios and one reverse, the lower forward ratio giving a cruising speed of approximately 20 knots. Of all-welded steel construction, the 110 ft long vessel displaced 115 tons and achieved 30 knots on trials (without armament). In 1938 she was believed to be the fastest diesel-engined vessel in the world. Tarret ended up as a houseboat in Walton Backwaters, not far from Colchester. (see Engineering , July 22, 1938, and also The Blockade Runners). Probably built by J Samuel White & Co Ltd, in about 1938, for the Cowes Ferry Committee. A small diesel-electric vehicle and foot passenger chain-ferry which operated on a service between East and West Cowes. Two Paxman-Ricardo 2-cylinder RQ engines, each developing 27 bhp (16kW) at 1,250 rpm, coupled to English Electric generators. Built for Coast Lines Ltd by Ardrossan Dockyard & Shipbuilding Co Ltd, both had three Paxman 6-cylinder RQ auxiliaries, each rated 60 bhp at 1,000 rpm and driving a 40kW Campbell & Isherwood generator. 'MV Welsh Coast' was completed in 1938 and 'Moray Coast' in 1940. Both ships approximately 210' OA. Built by William Denny & Brothers Ltd of Dumbarton for David MacBrayne (1928) Ltd. Two 8-cylinder MRXL engines for propulsion, each rated 440 bhp at 400 rpm (ordered 20th September 1938). Two 6RQ auxiliaries, each rated 60 bhp at 1,000 rpm. The novelty in the Lochiel lay in the machinery arrangement whereby remote control and spring mounted engines were employed for the first time with mechanical drive. The engines, mounted on springs, were coupled to the gearboxes through a cardan shaft and flexible couplings; the thrust bearing being in the rigidly mounted gear box. This system proved very satisfactory and was employed with small modifications to the engine mountings in all of the British-built Tank Landing Craft during World War 2. Fireboat (Sjøbrannsprøyta) Slukk II (Extinguish 2) built 1939 by Nyland Mek of Oslo for Kristiansund Fire Department, Norway. In service from 1939 to 1986. Now in preservation. The only 8 cylinder (in-line) RW engine supplied for marine propulsion. Designed to run at a constant speed of 1,500 rpm. As at 2012 in preservation but in need of replacement cylinder heads. Built by Camper & Nicholson for the Turkish Navy but before being delivered were requisitioned by the Admiralty at the start of World War 2. Length O/A 117 ft, beam 20 ft 3 in, mean draught 4 ft 1 in. Speed: 28 knots maximum, 25 knots continuous. Each vessel fitted with three 16-cylinder VRB engines for propulsion, each developing 1,000 bhp at 1,750 rpm (sprint), 800 bhp at 1,500 rpm (continuous). Each engine driving a propeller through an MR5 Wilson epicyclic 2:1 reverse-reduction gearbox manufactured by the Self-Changing Gear Co of Coventry. 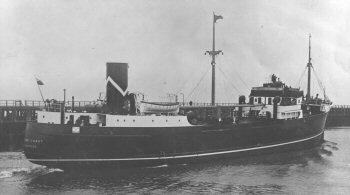 The Fast Merchantman 'Gay Viking'. During World War 2, from October 1943 to March 1944, the Gay Viking class of fast merchantmen ran the German blockade of the Skagerrak to bring vital ball bearings from Sweden to the UK - a story told on 'The Blockade Runners' page. AN LCT-8 conversion for Anglo-Ecuadorian Oilfields Ltd. Four 12RPHM, each rated 440 bhp, for propulsion, geared in pairs to a single propeller. Six Paxman 4-cylinder (probably 4RQ) auxiliaries, four driving 30kW generator sets and two driving cargo and ballast pumps. Built by Swan Hunter & Wigham Richardson in 1946. Two 8-cylinder Paxman auxiliaries, each developing 192 bhp, to provide power for deck machinery and electric light and power for duty while in port. Operating on the Upper Nile in connection with remodelling of the Esna Barrage by Sir Lindsay Parkinson & Co Ltd. One 6RPHM for propulsion, driving though oil-operated reverse gear. Built (1948 or earlier) for the Anglo-Saxon Petroleum Co Group. Paxman propulsion engine in each. Built (1948 or earlier) for the Anglo-Saxon Petroleum Co Ltd. Two 4RPL auxiliaries, driving a generator and an air compressor. Built (1948 or earlier) for National Benzole Co Ltd. One 3RQ, 33 bhp, and one 1RQ, 11 bhp, auxiliary, each running at 1,000 rpm. Built by Ferguson Brothers (Port Glasgow) Ltd in 1947 for Mersey Docks and Harbour Board. 671 tons. One 12RPH and one 4RQ, for driving the fire-fighting and salvage pumps. Built by John Brown & Co, Clydebank, in 1947 for London & North Eastern Railway Co, for its Harwich - Zeebrugge route. Three 4RX auxiliaries (Order Nos 50833 to 50835), each coupled to 125kW 220 volt Bruce Peebles DC generators. Engines delivered in March 1947. Built by John Brown, Clydebank, 'Pátria' in 1947 and 'Império' in 1948, for Companhia Colonial de Navegação of Portugal, to provide a service between Lisbon and Portuguese colonies in Africa. LOA: 161,8 metres, beam: 20.8 metres. Gross tonnage: 13,196. Accommodation for 798 passengers and 167 crew. Port of registry, Lisbon. Each of these steamships was fitted with four supercharged 6RX auxiliaries (Order Nos 50850 to 50857), each coupled to a 300kW, 220 volt Laurence Scott DC generator. 'Pátria' and 'Império' were in service until 1973 when they were scrapped. Built by Vickers-Armstrongs Ltd in 1947 and 1948 for Elder Dempster Line. Each with one 5RW auxiliary, driving an emergency generator set. Built by William Doxford & Sons Ltd, Sunderland in 1948 for Bank Line. Three 6RPL auxiliaries, each driving a 175kW generator. Built by Caledon Shipbuilding and Engineering Co Ltd in 1948 for Sarawak Steamship Co for service between Singapore and Sarawak. One 6RW auxiliary driving a 75kW generator. Twin-screw triple-grab dredgers built by Ferguson Brothers (Port Glasgow) for the Mersey Docks and Harbour Board. Completed in 1948 and 1949 respectively, for service on the River Mersey. LOA 237 ft, breadth moulded 40 ft 6 in. Speed loaded 12.2 knots. Three pressure-charged vee 12RPL engines per dredger, each developing 780 bhp at 520 rpm and driving a tandem generator, 450kW (750 amp, 600 volts) for propulsion and a 62.5kW auxiliary. Also one 4RQ auxiliary per vessel, developing 35 bhp at 800 rpm driving a 20kW Metrovick DC generator. Two propulsion motors per vessel, each developing 836 bhp at 135 rpm. Mersey 26 was the first application in the UK of the controlled constant-current principle developed by the Metropolitan-Vickers Electrical Company Ltd of Trafford Park, the company which manufactured all the electrical equipment for both vessels. A single-screw 350 ton grab dredger built for the Mersey Docks and Harbour Board by Lobnitz & Co of Renfrew. Completed in 1949, it had diesel-electric arrangements for propulsion and dredging. Two 6RPL engines, each developing 390 bhp at 520 rpm. These were delivered in October 1948. Built by Vickers-Armstrongs Ltd, Barrow-in-Furness, in 1949, for the Argentine Government. One RW driving an emergency generator set. Two ferries plying between Hong Kong and Kowloon which were re-engined by the Hong Kong and Whampoa Shipyard for the Star Ferry Company. One vessel was 'MV Electric Star' in which the Paxman-engined generating sets replaced Crossley Premier diesels and BTE electrical equipment which had been removed by the Japanese during the occupation of Hong Kong. The 'Electric Star' was the Star Ferry Company's first diesel-electric vessel and was built in 1933. Paxman's engine history card indicates a subsequent name change to MV Weathertite Prince or Princess (or both?) but whether the vessels were scrapped and the engines fitted in other vessels, or whether the vessels were sold and renamed, is unknown. Two 12RPHZ Series I engines per vessel. These were ordered and despatched in 1949. Each engine driving tandem generators, 190kW for propulsion and a 50kW auxiliary, at 1,000 rpm. Electrical machinery supplied by the Metropolitan-Vickers Electrical Company Ltd of Trafford Park, Manchester. The two Metrovick propulsion motors were rated to develop 370 shp at 250 rpm when supplied with a current of 625 amp at 475 volts, and capable of sustaining a continuous overload output of 420 shp (490 volts, 690 amps). Built by W J Yarwood of Northwich in 1950 for Mersey Docks and Harbour Board. 95 tons. Two 6RPL engines for propulsion, coupled to SLM gearbox. A twin-screw vessel built for the Harwich-Zeebrugge route. A train (goods only) ferry built by John Brown & Co, Clydebank, for British Railways. Launched March 1951 and entered service in mid-July that year. Length OA 397' 6", beam 61' 6". Three 4 cylinder Paxman RPL auxiliaries were installed. Running at up to 650 rpm, each was coupled to a Bruce-Peebles 220 volt generator with a continuous rating of 125 kW. Built by Hong Kong & Whampoa Dock Co Ltd, c.1953. LOA 128 ft, moulded breadth 29 ft, mean draught 7 ft 9 in. Service speed 12 knots. Two 12RPHM, each rated 400 bhp at 1,000 rpm, for propulsion, each driving a propeller through an oil operated MWD 3:1 reduction gearbox. The two propulsion engines and an additional three 12RPH engines drove five Merryweather four-stage centrifugal fire and salvage pumps. One further 12RPH spare engine was carried. Owned by Tom Sleight Ltd, Grimsby. One 4RPHM propulsion engine. Paxman, in collaboration with the owners, carried out a fully instrumented sea trial on 'East Bank' throughout the whole of a 17-day fishing trip. Paxman wished to acquire data about the actual operating conditions and performance of an RPH engine in a fishing vessel of this type. One of many seine netters owned and operated by Tom Sleight Ltd of Grimsby, who not only owned their own vessels but also provided the services needed ashore for some skippers who owned their own boats. Most of these skippers were Danes as seine netting was a Danish development. Ling Bank was fitted with one 4RPHM propulsion engine, rated 160 bhp, circa 1957. Re-engined circa 1957 for a Danish owner by Tom Sleight Ltd Marine Diesel Service (Grimsby) Ltd. One 4RPHM propulsion engine, developing 105 shp. A Danish seine netter. Original single cylinder semi-diesel replaced by a vee 4RPHM Series II, rated 133 bhp at 1,000 rpm, 153 bhp at 1,200 rpm, driving a variable pitch propeller through a reduction gearbox. A number of typical 65 foot Danish-type seine netters were re-engined with 4RPHM propulsion engines, for both Danish and British owners. The Danish boats had originally been fitted with single cylinder hot-bulb semi-diesels made by builders like Tuxham of Copenhagen. These were relatively large for their output, 95/105 bhp (at 300 rpm ?) and weighed about 6 tons. John Cove has commented that re-engining was sometimes done without thinking of the fact that a Paxman engine weighed about the same as the flywheel of the semi-diesel. Unless ballast was added to compensate, the stabilty of the whole boat would be reduced and unless crews were very careful the powerful winches used could pull the whole boat over. At least three Danish seine netters were engined (possibly by Tuxham who had agreed special prices with Paxman) with one 6RPHM each, 337 bhp at 1,200 rpm, for operators Lars Pederson, A/S Omø Fargefart and Gerda Jørgensen. Built by J S Doig (Grimsby) Ltd for the Delga Fishing Co Ltd, Grimsby. One 4RPHM, installed circa 1957, developing 105 shp and driving a Slack & Parr variable pitch propeller. Built at the Matsumoto Shipyards, Dollarton, British Columbia, in about 1957, for a Vancouver fishing company. One 6RPHM for propulsion, developing 230 shp. Speed 10.8 knots. Built by Ateliers et Chantiers de la Seine Maritime, in 1956, for Société de Pêcheries de Fécamp of France to operate in Newfoundland waters. LOA 245 ft, beam 37 ft 9 in, draught 19 ft 4 in, making it, at the time, one of the largest diesel-electric trawlers in the world. Three 8YLCZ, rated 800 bhp (543kW electrical) at 800 rpm, ordered from Paxman in 1955 and despatched in June the following year. Each engine direct-coupled to Sautter-Harle tandem DC generators, 510kW for propulsion and 150kW for other requirements. Two propulsion motors, each rated 960 bhp at 850 rpm, driving through reduction gears to a single propeller. The diesel-electric arrangement successfully met the need for a high passage speed (12½ knots when loaded) combined with a low trawling speed (3 to 4 knots). The average trip was of 100 to 120 days duration, only 16 of which were on passage to or from the fishing grounds. Engine room of the 'Cap Fagnet' with its three 8-cylinder YL engines. The contract in Paxman's records specifies that the engine nameplate was to be inscribed 750 bhp at 750 rpm but that the actual contract rating was to be 800 bhp (543kW electrical) at 800 rpm. The difference was puzzling until John Cove, who was closely involved with the project, emailed to say he had forgotten this detail but that it is fairly easy to see the reason looking at the power figures given above. The contract rating of 800 bhp per engine would be sufficient to produce 549kw if one assumes a generator efficience of 92%. But each engine was coupled to a generator capable of 510 + 150 =660kW, so even if the engines were run at 800 rpm they could not match the potential output of their generators. The two propulsion motors are quoted as 960 bhp, which refers to the power into the propeller shaft. So, assuming 92% efficiency for these too, each of them can draw 1,043 bhp which equates to 778kW - a total of 1,556kW at full power. To this must be added 300kW for auxiliary purposes, giving a total of 1,856kw, which is in pretty good agreement with the contract rating but more than could be attained at 750rpm engine speed. John thinks the idea of the lower rating on the plate was to provide a safety margin, and perhaps to keep the fishermen ignorant of the inbuilt margin, because any fisherman returning home with a catch is going to run the machinery flat out. Fishermen are well known for interfering with overload stop settings on their engines to get more power and this has adverse effects on life between overhauls. There is also the point that when the ship is not going full speed to and from the fishing grounds, it is always actively fishing and control is from the bridge and will require occasional bursts of power. The engineers would have found it difficult to shut down one engine for a while for maintenance unless the others had a little bit in hand. John also recalls some information that was given at the time as to why no further ships of this kind were built. The machinery was just too complicated for fishermen and required a qualified electrical engineer in charge at all times. Such people found that with their qualifications they could find a much more attractive job than working on a fishing boat and it became very difficult to find qualified staff ready to join once they had heard what life on a fishing boat was like. Built by Vickers-Armstrongs Ltd in 1956 for North-American Shipping and Trading Co (London) Ltd. One 6RPHZ driving a 100kW alternator set. Built in 1957 and operated by Société de Transport, Lagos. Two 8RPHM, each 255 bhp, for propulsion. Registered Douala, Cameroon. Built by Collingwood Shipyard, Ontario, in 1957 for Imperial Oil Tankers. Gross tonnage 4,680. Two 8RPH auxiliaries, each driving 125kW generator sets at 900 rpm. Four ships built for AB Statens Skogsindustrier (Swedish State Forest Industries), Stockholm, between 1957 and 1959, by AB Gävle Varv, Gävle, Sweden. Each ship was fitted with a 12 cylinder YLCM engine, producing 1,395 shp at 776 rpm, for propulsion. The ships had a speed of 12.5 knots and were 499 tons, designed to be so because of a Swedish law which dictated that ships over 500 tons gross had to have three mates and three engineering officers. These ships and their engines were mentioned in an article published in the Swedish marine magazine Länspumpen , issue 2008:3, pp. 31-32. A similar ship, 'Lanrick', was built by AB Gävle Varv for George Gibson of Leith. Built by Yarrow Shipbuilders, Scotstoun, in 1958 for United Africa Co Ltd, London. Length 104.8 ft, Breadth: 23 ft, Draught: 7 ft. Two 16RPHM, (each developing 435 bhp?) for propulsion. 1,890 ton tanker built by Collingwood Shipyard, Ontario, in 1958, for Canadian Shell Tankers Ltd, to operate on the west coast of Canada. Two 8YLCM propulsion engines, each producing 804 shp at 750 rpm, driving a single screw through two scoop-controlled fluid couplings to a single MWD 4:1 reverse/reduction gearbox. Two 8RPHZ auxiliaries driving 200kW generator sets and one 4RPHZ driving a 100kW set. 1970 renamed Artic Trader, 1983 renamed River Shell, 1995 renamed Horizon Montreal. 2004 sold to Aurora Holding and renamed Alysia S1. 2005 sold to Guyana and renamed New Horizon. Built by Forges et Chantiers de la Mediterranee, Le Havre, circa 1958, for the French Government. Diesel-electric propulsion. Three 8YLCZ per vessel, each rated 860 bhp (600kW electric) at 720 rpm and 940 bhp (655kW electric) at 900 rpm. Each engine driving a Jeumont tandem 220kW AC alternator and a DC generator; the AC supply for the services load and DC for the propulsion motors. The engines for France I were despatched in June 1958 and those for France II in October that year. A Paxman file note says that the alternators were to run at 720 rpm which would indicate that the higher 900 rpm power rating would be for propulsion power only. The vessels would be required to spend long periods on station, presumably in the mid-Atlantic, where one engine would be run to provide electrical power for services and a small amount of propulsion power to enable the vessel to hold its position against wind and current. When travelling to or from station much more power would be required and two or three engines would be run with only one running at 720 rpm. In October 2015 I received an email from Mike Hull who had recently visited La Rochelle and its maritime museum. There he found MV France I. Much to his surprise and delight, he was able not only to go on board the vessel but also visit the engine room (open to visitors) and view the three 8YL engines. Built by the Atlantic Shipbuilding Company, Newport, South Wales, between 1958 and 1960, for the Cuban Government. Each with two 16YLCM, each developing 1,680 shp, coupled to a single output Renk reverse/reduction gearbox for propulsion. Three 6RPHZ auxiliaries, each developing 149 bhp at 850 rpm and direct coupled to a Campbell and Isherwood 100kW, 220 volt generator. John Cove was aboard 'Pinar del Rio' when she made her first trip out of the dock in Newport where she was built. He recalls: "We had a couple of bits of excitement on the trip. They opened the dock gate and the ship went ahead towards the opening. She was not quite straight so the helmsman attempted to make a course correction. This made matters much worse and we headed for the dock wall. I was on deck and braced myself for the inevitable impact but, when we hit the dock wall, the ship's gunwhale and bulkhead above deck level made a good 'crumple zone' and although they got very badly bent inwards there was little shock involved. It transpired that the steering wheel and the rudder were operated electrically and, although Atlantic Shipbuilders has checked that the rudder did indeed move when the wheel was moved, nobody had thought to check that it moved the correct way. So they uncrossed the wires and we proceeded to sea. When we opened up the engines to full power the engine room filled with thick acrid smoke and had to be evacuated, although the engines could still be controlled from the bridge. We had time to see that the smoke was coming from the exhaust pipes which were now hot for the first time. They were lagged with asbestos cloth and it transpired that the yard had rather foolishly painted them before applying the lagging, so we had to wait until all the paint had burned off and the engine room ventilators had cleared the smoke before we could go back in there." Twin-screw 60 ton floating crane built by Lobnitz & Co of Renfrew in 1959 for Mersey Docks & Harbour Board, Liverpool. Two 12YLXZ, each developing 874 bhp at 600 rpm and driving tandem GEC generators: one 330kW, 440 volt DC for diesel-electric propulsion and one 300kW, 220 volt for lifting duties. Built by Hugh MacLean & Sons Ltd, Renfrew, in 1959, for Glasgow Fire Service. 68 ft long. Two 12RPHZ, developing 400 bhp at 1,000 rpm, driving two Merryweather 4-stage turbine fire pumps, enabling St Mungo to deliver river water to the scene of a fire at the rate of 6,000 gallons per minute, at a distance up to 100 yards. 18,000 ton tanker built by Smiths Dock Co Ltd, Middlesborough, in 1959, for Eagle Tanker Co Ltd, London. Length 559 ft, breadth 69 ft 6 in. One 8RPHZ driving a 200kW auxiliary generator set. Built by Hong Kong & Whampoa Dock Co Ltd, circa 1960. Two 6YHXM for propulsion, each developing 300 shp at 1,000 rpm and driving through an MWD gearbox. Built in 1960 for the Canadian Coastguard Service, Department of Transport, Canada. Two 8RPHZ auxiliaries, driving 145kW generator sets at 900 rpm. 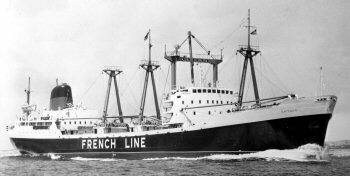 General freighter of 6,500 tons deadweight, built by Davie Shipbuilding, Lauson, Quebec, in 1960, for Canada Steamship Lines. Three 4RPHZ auxiliaries driving 90kW generator sets. Built by Victoria Machine Depot, Vancouver, circa 1960, for British Columbia Government, for a car and passenger ferry service between Swartz Bay on Vancouver Island and Tsawwassen on the mainland. Each vessel having two 12RPH auxiliaries, each driving a 300kW generator set, and one 6RPH auxiliary driving a 150kW set, both at 1,200 rpm. Generators by Crompton Parkinson. Built by the Ailsa Shipbuilding Co, Troon, Ayrshire, for the Atlantic Steam Navigation Company. Twin-screw, 4,075 ton, 'drive-on drive-off' vehicle and passenger ferries. Cerdic Ferry was ordered in 1959, for operation on the Tilbury-Antwerp-Rotterdam route. Doric Ferry commenced operation on the Tilbury-Antwerp/Rotterdam routes in April 1962. Designed to carry up to 100 commercial vehicles and trailers, the ships had accommodation for 35 passengers in two- and four-berth cabins. LOA 361' 5", beam 55', draught 12' 9". Deadweight 1,529 tons. Service speed 14 knots. Two 16YLCM engines in each vessel, each rated 1,680 bhp at 750 rpm and driving a propeller at 250 rpm through a Hindmarch-Modern Wheel Drive 3:1 ratio reverse-reduction gearbox. Each vessel also had four 8RPHZ Series II auxiliaries, each driving a Mawdsley 150kW, 220 volt, DC generator at 900 rpm. Built circa 1960 for French Line, Compagnie Générale Transatlantique. Three 8YLZ auxiliaries, each 480 bhp (330kW) at 750 rpm, ?50 volt DC, to supply all power for shipboard working. Built by Yarrow & Co, circa 1960, for Shell Tankers Ltd for service on the River Niger. Two 12YHXM, each 550 shp, for propulsion, driving through MWD gearboxes. 45,000 ton passenger liner built by Harland & Wolff Ltd for P & O Steam Navigation Co. Launched May 1960. Two 12YGA (air-cooled), 200kW emergency generator sets, running at 1,200 rpm, installed in the superstructure. These proved vital during one or two of the Canberra's earliest voyages, when the ship encountered serious problems, one being a major fire in the engine room which disabled the main generators. Built (by W G Lowe & Sons ? ), circa 1960, for Auckland Harbour Board, NZ. One 6RPHM for propulsion. Built (by Mason Brothers ?) for Auckland Harbour Board, NZ. Each with one 6RPHM, rated 255 bhp, for propulsion. Built circa 1960. Two 4RPHZ auxiliaries driving Laurence Scott & Electromotors 102kW, 240 volt DC, generators at 1,200 rpm. Built by Société des Chantiers Réunis, Loire-Normandie, Nantes, circa 1961, for Niarchos (London) Ltd. Three 8YLZ auxiliaries, each driving a 335kW Siemens alternator at 600 rpm. Twin-screw ferries built circa 1961 for British Columbia Toll Authority Ferry System. 'City of Victoria' built by Victoria Machine Depot, Vancouver Island, and 'City of Vancouver' by Burrard Dry Dock Co, Vancouver. Length 336 ft, beam 74 ft, displacement nearly 3,000 tons. Service speed 18 knots. Designed to carry up to 106 vehicles, including trucks and coaches, with seating for 1,000 passengers. Each vessel with four 16YLCM for propulsion, each rated 1,500 bhp at 800 rpm, coupled in pairs to the input shafts of two twin-input, single output MWD reverse/reduction gearboxes. Each vessel also had four Paxman auxiliaries: three 12YHXZ, each driving a 500kW 440 volt, 3-phase, 60-cycle alternator at 1,200 rpm, and one 6RPHZ driving a 150kW generator. These ferries operated in the Gulf of Georgia between the terminals of Swartz Bay, Victoria and Tsawwassen. A 2,000 tonnes oil tanker built by Des Anciens Chantiers Dubigeon of Nantes, France, in 1961 for Shell Tankers. Diesel-electric propulsion system. Two 12YLC engines, each rated 1,500 bhp at 750 rpm. A twin-screw dredger built by Ferguson Brothers (Port Glasgow) Ltd in 1961 for Mersey Docks & Harbour Board. LOA 274' 6", breadth moulded 46' 6". Displacement loaded: 4,057 tons. Diesel-electric propulsion system. Speed 13¼ knots when loaded. Three 16YLCZ, each developing 1,994 bhp at 750 rpm and driving a GEC tandem generator, 940kW and 450kW. Each propulsion motor rated 1,750 shp at 150 rpm. One 4RPHZ auxiliary, rated 133 bhp at 1,000 rpm, driving a 75kW generator for harbour duties. Right: Grab Dredger 'Mersey Compass'. A 120 ft converted Fairmile 'B' launch, re-engined at Rowhedge Ironworks (near Colchester) in 1961 with two 6RPHX Mk 5 engines for propulsion. Client: G S Clarke. Built circa 1961 for British Transport Commission. Each vessel fitted with three 4RPH auxiliaries, each driving an 80kW generator set at 1,000 rpm. Built by Lindholmens Shipyards, Sweden, in 1961, for Sinclair Oil Corporation, New York. Three 8YLZ auxiliaries, each driving a 420kW generator. Built in 1961 for Gulf of Georgia Towing Co, Canada. One 12RPHM, 336 shp, for propulsion. 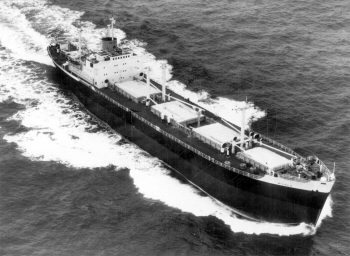 37,000 ton tanker built by Vickers-Armstrongs (Shipbuilders) Ltd in 1962 for Charter Shipping Co. One 8RPHZ auxiliary driving a 200kW, 60-cycle generator. 2,500 ton twin-screw ferry built by Halifax Shipyard, Nova Scotia, for Canadian National Railways, to operate on the Northumberland Strait crossing between Borden, Prince Edward Island and Cape Tormentine, New Brunswick. Capacity for 70 motor vehicles and 300 passengers. Launched in March 1962 and in service from 1962 to 1975. Four 12YLCZ, each rated 1,300 bhp at 750 rpm, with an overload rating of 1,560 bhp (1,038kW electric). Each engine driving a single bearing 865kW (continuous) DC generator, supplied by the Canadian Westinghouse Corporation, for the diesel-electric propulsion system. One 6RPHZ auxiliary driving a 150kW generator. Built by J Bolson & Son Ltd, Poole, in 1962, for Abu Dhabi Marine Areas Ltd for off-shore oil drilling operations in the Persian Gulf. LOA 126 ft, moulded breadth 32 ft, maximum draught 9 ft 6 in. Two 6RPHCM for propulsion, each rated 337 bhp (310 shp) at 1,200 rpm, coupled to twin shafts through Wiseman W.300 4:1 reverse/reduction gearbox. Two 4RPH auxiliaries, each 125 bhp at 1,000 rpm, coupled to a 65kW 220 volt DC generator. Built by Canadian Vickers for the Canadian Department of Transportation. 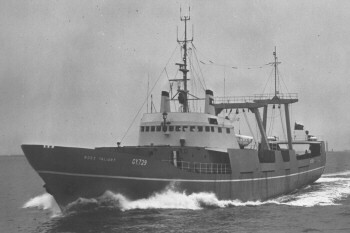 The vessel had ice-breaking capabilities and entered service circa 1962/63. Two 12YLCZ, each developing 1,200 bhp (continuous) at 800 rpm and 1,320 bhp overload, driving Canadian General Electric Company alternators for diesel-electric propulsion. Two Canadian Vickers 810kW propulsion motors. Built by James & Stone, Brightlingsea, Essex, circa 1963, for the King's Lynn Conservancy Board. 6RPHCM, developing 338 bhp at 1,250 rpm, for propulsion. Built by J Bolson & Son Ltd, Poole for Abu Dhabi Marine Areas Ltd for service in the Persian Gulf. LOA 98 ft 9 in, moulded breadth 11 ft 9 in, mean draught 8 ft 3 in. Design speed 9¼ knots. Two 4RPHCM for propulsion, each rated 189 bhp (175 shp) at 1,200 rpm and driving a propeller through a 4:1 reverse/reduction gearbox by Self-Changing Gears Ltd. Built by Cochrane & Sons Ltd, Selby, in 1963 for Ross Trawlers Ltd, Grimsby at a cost of £90,000. LOA 99 ft. One 8RPHCM for propulsion, rated 450 bhp (407 shp) at 1,200 rpm, driving the propeller through a MWD 4:1 reduction gearbox. 20kW generator belt-driven from the main engine. Bridge control system by Regulateurs Europa Ltd (then a subsidiary company of Paxman). Sister ship also ordered. (see 'Ross Daring' - An Automated 5-man Trawler. The Motor Ship , November, 1963). 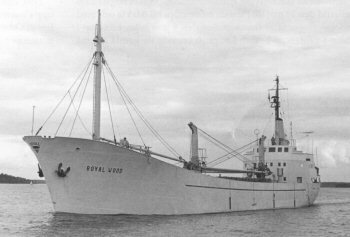 1,000 ton deadweight tanker, built circa 1963 for Cory Maritime Ltd. Three 4RPHCZ auxiliaries, each driving a 100kW generator at 1,000 rpm. Built by Scotts, Greenock in 1963. Length 500' 6", breadth 67', draught 28' 4". Three 6RPHCZ auxiliaries driving 235kW generator sets. 6,650 tons dwt vessel built by Burntisland Shipbuilding Co, Fife, in 1963, for Booker Line Ltd, Liverpool. Three 8RPHCZ auxiliaries, each driving a 275kW generator at 1,000 rpm. Built by Smith's Dock Co Ltd, Middlesborough, for Manchester Liners. Length 502.2', beam 62.5'. Manchester Commerce (8,724 GRT) entered service in 1963. Manchester Renown (8,724 GRT) and Manchester City (8,734 GRT) in 1964. Each with four 6RPHXZ auxiliaries, driving W H Allen 200kW DC generators at 1,200 rpm. Designed and built by Cochrane & Sons Ltd of Selby in 1964 for Ross Trawlers at a cost of £450,000. The engines were installed by Drypool Engineering & Dry Dock Co Ltd of Hull. LOA 226 ft 6 in, moulded breadth 36 ft 6 in. Speed 13 knots. Three 8YLCZ (dispatched February and March 1964), each rated 1,135 bhp at 1,000 rpm continuous. Engines driving tandem generators: 445kW DC generators for the diesel-electric propulsion system and 200kW 415 volt 3-phase AC alternators for the service load. Electrical machinery manufactured by Laurence Scott & Electromotors of Norwich. Two 825 bhp, 480kW propulsion motors coupled to a 5.7:1 twin input/single output MWD gearbox. Built by Austin & Pickersgill, Sunderland, in 1964, for Huntings. Three 8RPHCZ, rated 495 bhp at 1,200 rpm. 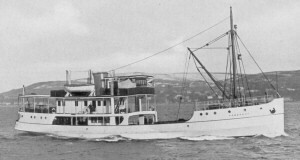 Built by Henry Robb, Leith (Yard No 488), in 1964 for the Tarakohe Shipping Co Ltd, New Zealand. Length 210', beam 38', twin screw. Two 4RPH (vee form) generator sets for auxiliary power. Ligar Bay stayed in New Zealand until she was sold back to Golden Bay Cement’s parent company in the UK, Associated Portland Cement (Blue Circle Cement). She then spent about five years running drill mud, etc, out to North Sea rigs. Following that she went to the Caribbean to transport cement from Venezuela up to various Caribbean islands, before being blown ashore twice in typhoons. After the second typhoon she was cut up. Built by Charles Connell & Co, Glasgow, in 1964, for Ben Line Steamers Ltd of Leith. Length 533', breadth 70', 11,902 GRT. Two 6RPHCZ 200kW generator sets and two 8RPHCZ 265kW sets, all running at 900 rpm. Built by Vickers-Armstrongs, Barrow-in-Furness, in 1964. One 4RPHXZ auxiliary driving an AEI 100kW alternator. 10,350 ton cargo vessel built in 1964. 7,877 tons. Three 8RPHCZ auxiliaries and one 4RPHCZ auxiliary. Built by Victoria Machine Depot in 1964 for British Columbia Government, Canada. 680 tons. Capacity: 150 passengers, 30 cars. Two 12YHXM engines for propulsion, driving through MWD gearboxes. Re-engined (Caterpillar) and renamed 'MV Tenaka' in 1977. Built for Trident Tankers Ltd, London. 'Orama' and 'Orissa' built by Lithgows Ltd, Port Glasgow and 'Opawa' by Barclay, Curle & Co, Glasgow. 'Orama' completed in 1964, 'Orissa' and 'Opawa' in 1965. Length 775.7', breadth 106'. Each tanker had two 12RPHCZ, 572kW, generator sets for cargo pumping. John Cove's contemporaneous notes say: "This is an example where the owner has gone in one move from very slow-speed DC sets to 1,200 rpm and AC. The saving on capital costs alone on these sets enabled the owner to go to the next stage and have full automation on these sets, which are arranged to start up automatically on load demand and to automatically share the load". 1,000 ton tankers built by Grangemouth Dockyard Co, Grangemouth, in 1965 for Shell Mex & BP. RPHZ auxiliaries. 19,000 ton tanker built by Ferguson Brothers/Lithgows, Port Glasgow, in 1965 for BP Tanker Co Ltd. Length 561', breadth 73' 9". RPHZ auxiliaries. General cargo coaster built by Scott & Sons (Bowling) Ltd, Glasgow, in 1965 for African Coasters (Pty) Ltd, Durban, South Africa. Length 224', breadth 37' 3". RPHZ auxiliaries. 6,162 tons, both built by Lindholmens Varv, Gothenburg, in 1965 for T & J Harrison, Liverpool (Harrison Line). RPHZ auxiliaries. Collier of 7,529 tons dw built by Blyth Dry Docks & Shipbuilding Co Ltd, Blyth, Northumberland in 1965 for Cory Maritime Ltd, London. RPHZ auxiliaries. Built by Smith's Dock Co, South Bank, Middlesbrough, in 1965 for Bolton Steam Shipping Co. Length 599.9 ft, beam 79.3 ft. RPHZ auxiliaries. Built by John Readhead & Sons Ltd, South Shields, for Strick Line Ltd (FC Strick & Co Ltd), London. 'Shahristan' and 'Floristan' completed in 1965, 'Serbistan' and 'Registan' in 1966. Each 503.4' long, breadth between 63.8' and 67.9', and GRT between 8,819 and 9,296. Each with four 8RPHZ auxiliaries, driving GEC 245kW 440 volt alternators, at 1,200 rpm. Generator sets under automatic control supplied by Regulateurs Europa. Designed and built by Vosper Ltd, Portsmouth, completed February 1965, for Trinidad and Tobago Coastguard. Each with two 12YJCM for propulsion, each developing 1,455 bhp at 1,500 rpm and driving through a ZF 1.5:1 reduction gearbox. Distant water rock-lobster processing and factory ship built by Barens Shipbuilding & Engineering Corporation Ltd, Durban, for South Atlantic Islands Development Corporation, South Africa. Completed in 1965. Tonnage: 794 gross, 394 net. Length 162' 9", beam 32' 7", draught 11' 6'. Two 12RPHCM for propulsion, each rated 674 shp at 1,200 rpm, coupled to a twin-input single-output MWD reduction gearbox driving a variable pitch propeller. Three 4RPHCZ alternator sets, each 155kW, running at 1,000 rpm. Designed and built by Cochrane & Sons Ltd of Selby in 1965 for the Ross Group. The engine installations were carried out by Drypool Engineering & Dry Dock Co Ltd of Hull. Each with one 12YHCM for propulsion, developing 860 shp at 1,500 rpm, driving through a MWD gearbox. Registered at Grimsby. Built by Svendborg Skibsværft A/S, Denmark, circa 1965?, for Tholstrup. One 6RPHCM developing 300 shp at 1,200 rpm. Engine ordered through Paxman's Danish agent, Langebaek, headquartered in Ballerup Byway outside Copenhagen. All Tholstrup ships were named after female members of the Tholstrup family. 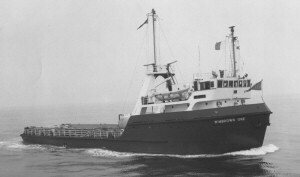 Built by Atlantic Bridge Co Ltd in 1965 for Scotia Trawler Equipment Ltd, Canada. Each with one 12YHCM for propulsion, developing 800 bhp at 1,250 rpm, driving through a Reintjes gearbox. Built in 1965 for Port of Bristol Authority. Three 6RPHZ auxiliaries, each rated 242 bhp and driving Laurence Scott & Electromotors generators at 1,100 rpm. Designed and built by the Erieau Shipbuilding and Dry Dock Company, Ontario, in 1965/66, for McQueen Marine, Ontario. Length 95 feet. Two 8YLCM for propulsion, each developing 1,135 bhp at 1,000 rpm, driving through centrifugal clutches and MWD 3:1 reverse/reduction gearboxes. At the time of entering service, the 'Amherstburg' was the most powerful vessel of her kind on the Great Lakes. Built by Barclay Curle & Co, Glasgow, in 1965/66 for Port Line. Four 12RPHCZ auxiliaries, each driving a MacFarlane 500kW alternator at 1,200 rpm. Built by Clelands Shipbuilding Co Ltd, Willington Quay, Wallsend in 1965/66 for George Wimpy & Co. Each with two 12YHXM for propulsion, each rated 900 bhp at 1,500 rpm, and two 4RPHXZ auxiliaries driving 120kW generators. Built by Hugh MacLean & Sons Ltd, Renfrew, circa 1966, for Kuwait Customs and Port Authority. One 6YJXM for propulsion, developing 492 bhp at 1,500 rpm, driving through an oil-operated ZF 2:1 gearbox. Built by Burntisland Shipbuilding Co Ltd, Fife, in 1966, for the Nile Steam Ship Company (George Gibson Ltd), Grangemouth. One 8YLCM for propulsion, developing 1,000 bhp at 780 rpm, driving through a Reintjes gearbox. Owned by Talisman Trawlers Ltd of Lowestoft. Re-engined in 1966 with two 8RPHXM for propulsion, each rated 400 bhp at 1,400 rpm. Built by Mitsubishi Heavy Industries, Nagasaki, in 1966, for Glen Line. Two 8RPHCZ auxiliaries, each rated 470 bhp at 1,500 rpm, driving W H Allen 325kW alternators. Built by John Lewis & Sons Ltd, Aberdeen, in 1966, for P & O Offshore Services Ltd. Length 95 ft, breadth 25 ft. Gross tonnage 262. Two 6RPHCM for propulsion, each rated 332 bhp at 1,200 rpm. Acquired in 1970 by Spurn Shipping Co. Ltd of Grimsby and renamed 'Spurn Haven'. 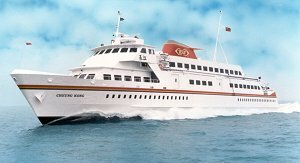 In 1994 renamed 'Surveyor II' for OIS International Ltd, Kingstown, St Vincent and the Grenadines. Built by Ferguson Brothers (Port Glasgow) Ltd for the British Transport Commission. Baglan was completed in 1966, Forth and Swansea in 1967. (A fourth similar dredger subsequently built.) Each with two 16YLCZ engines, each developing 2,270 bhp (continuous) at 750 rpm and 2,497 bhp overload. Each engine driving an AEI tandem generator: 1,200kW for diesel-electric propulsion and 200kW auxiliary. Combined electrical output from each set: 1,400kW continuous, 1,540kW on overload. Possibly built circa 1966/67. One 8RPHCM for propulsion, developing 336 kWb (450 bhp) at 1,200 rpm. 8,000 ton cargo ship built by Alexander Stephen & Sons Ltd, Govan, Glasgow, in 1967, for Shaw Savill Line. Length 546 ft, breadth 74.4 ft. Four 12RPHXZ auxiliaries, each driving a W H Allen 440kW alternator at 1,200 rpm. One 4RPH auxiliary, driving a W H Allen 100kW alternator at 1,200 rpm, for emergency duties. Built by Alexander Stephen & Sons Ltd, Govan, Glasgow, in 1967, for Shaw Savill Line. Four 12RPHXZ auxiliaries, each driving a 400kW alternator, and one 4RPH auxiliary driving a 100kW generator for emergency duties. SD.14 (abbreviation of 'Shelter Deck, 14,000 tons') ships were designed to replace 'Liberty' ships that had been built in the USA during World War 2 and which were coming to the end of their lives by the 1960s. Originally schemed as a 14,000 ton vessel, when built SD.14s were approximately 15,000 tons dw. They were planned as low cost 'standard' vessels, built to a basic specification to which options could be added. Most were built by Austin & Pickersgill Ltd (who developed the SD.14) and the neighbouring yard of Bartram & Sons Ltd, on the River Wear. Some were built under licence by Hellenic Shipyards in Greece. The first SD.14s were completed in February 1968 and it is said that ultimately over 200 were built. Paxman supplied large numbers of RPH engines as auxiliaries for SD.14s, particularly in the late 1960s and during the 1970s. It supplied them for probably 140 or more SD.14s. Some SD.14s had medium-speed auxiliaries, where specified by owners who preferred this type of engine to the faster running RPH. All SD.14 vessels had three generator sets. Initially the basic design specified 170kW alternators, to provide the minimum power required to meet the electrical load. The introduction of additional equipment, chosen from a list of optional items, resulted in a higher base load than was originally planned. This resulted in a change to the specification which, by late-1969, was three 6RPHXZ (turbocharged) auxiliaries, coupled to MacFarlane 218kW brushless alternators, running at 1,200 rpm. From the summer of 1970 this was further upgraded to three 6RPHCZ (turbocharged and intercooled) auxiliaries, rated at 409 bhp, coupled to MacFarlane 280kW, 440 volt, 3-phase, 60-cycle alternators, running at 1,200 rpm. For higher outputs 8- and 12-cylinder RPHs were supplied. Using 12RPHXZ and 12RPHCZ auxiliaries, generator outputs of up to 570kW per set could be offered. A later development of the SD.14 was the B.26, a small 26,000 tonne bulk carrier. These all had three 8RPHCZ Mk 7 generator sets. One of the first SD.14 ships to be built was ''MV Nicola', for Mavrolean Brothers, 15,000 tons d.w. (pictured right). This had three 6RPHXZ auxiliaries, driving 218kW alternator sets. 10,800 ton liquified petroleum gas carrier built by Hawthorne Leslie (Shipbuilders) Ltd, Hebburn, in 1968 for Bibby Line Ltd, Liverpool. Four 8RPHCZ auxiliaries, each driving a 345kW generator. 2,300 ton cargo ship built by Henry Robb in 1968 for Wilson Line. LOA 308 ft, breadth 45 ft 6 in. Three 6RPHCZ auxiliaries, each driving a 245kW generator. 22,500 ton tanker built by Eriksberg Mekaniska Verkstads A/B, Sweden, in 1968, for BP Tanker Co. One 12RPHCZ auxiliary driving a 500kW generator. Built by John Brown & Co on the Clyde, and completed in 1968, this famous 58,000 ton Cunard liner was retired in November 2008. Paxman supplied two stand-by emergency generator sets for the QE2, each driven by a naturally-aspirated 12RPHZ Series II engine. The sets are located high in the hull, at the stern, under a swimming pool. The engines have radiator cooling which allows the sets to be used even when the ship is in dry dock. As at 2008 the engines were still regularly tested and in good order. The emergency sets were built under Paxman Contract Nos 58913 and 58914 (Engine Nos 650036/1 and /2) and despatched on 19th April 1967, not long before QE2 was launched. The sets were built on an underbase, similar to Paxman's industrial generator sets, and had AEI alternators, rated 350kW at 1,200 rpm. Remained in service with David MacBrayne, later Caledonian MacBrayne, until October 1997 when it was acquired by Pentland Ferries and renamed Pentalina-B. Subsequently sold to a Cape Verde owner in 2009. Built by Swan, Hunter Shipbuilders Ltd, Wallsend in 1970 for Esso Petroleum. Equipped with 12YJCZ (Ventura) generator sets for stand-by power. Built by Camanga in 1973-74. Two Valenta 8RP200CM for propulsion. Built by Robb Caledon (Yard No 572) in 1978-79 for the Golden Bay Cement Co, Wellington, New Zealand. Two 8RPHCZ (Nos. 740014/10 and 740014/12, Contract Nos. 62498-9) developing 482 bhp at 1,000 rpm, driving auxiliary generators. These machines can be paralleled to power the 4-ton thrust active rudder unit for emergency propulsion as required. Golden Bay will be disposing of this ship in 2017, after carrying over 10.5 million tonnes of cement in her 38 years of service. The port 8RPHCZ was rebuilt in August 2016. Fast patrol boats built by Karlskronavarvet, Sweden, in 1980 for Trinidad and Tobago Coastguard. Each with two 16-cylinder Valenta (RP200) engines for propulsion. 32 metre fast patrol craft built in 1982-83, for Royal Malaysian Customs & Excise. Each with two 16-cylinder Valenta (RP200) engines for propulsion. Speed: 27 knots continuous, 30 knots sprint. Built by Vosper Thorneycroft in 1983 for service in Hong Kong with the operator Shun Tak Shipping. Designed to carry 700 passengers each. Each vessel was fitted with four 16-cylinder 3,000 bhp Valentas, driving variable pitch propellers, to give a top speed of 28 knots. 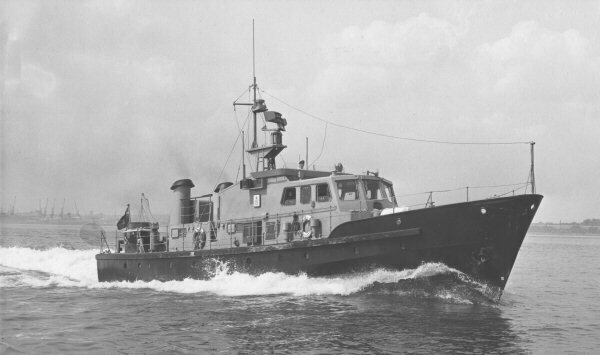 Thirty seven 110 ft 'Island Class' patrol boats built by Bollinger Machine Shop and Shipyard Inc, Lockport, Louisiana, USA for United States' Coast Guard Service. Each with two 16-cylinder Valentas, each rated 2,880 bhp at 1,500 rpm (continuous), 3,100 bhp sprint. Initial order for 48 engines received by Paxman in 1984/5. The boats were ordered as an important weapon in the US Government's war against drug smuggling. 24 metre trawler built by Vergoz Shipyard, Concarneau (Socmaren? ), in 1987 for Kerihuel. One 12-cylinder RP160 (Vega) engine (despatched April 1987) for propulsion. Built by McTay Marine, Merseyside, for the Port of London Authority (PLA). Two 12-cylinder RP160 (Vega) engines (despatched December 1988) for propulsion. A 45.5 metre high-speed catamaran built by Hyundai Heavy Industries in Korea. Launched in 1992, it was designed to carry up to 400 passengers at a maximum speed of 35 knots. The propulsion system comprises two 18-cylinder RP200CM Valentas, each rated at 3,020 kWb at 1,550 rpm, driving water jets. A 45 metre luxury superyacht built by Oceanfast Yachts in Australia in 1996. Powered by two 12VP185s, each rated 2610 kWb at 1,950 rpm. 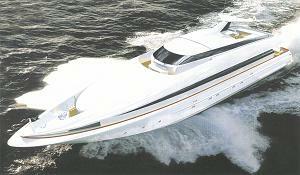 Capable of a continuous cruising speed of 24 knots, with a top speed of over 27 knots. Built by Hyundai Heavy Industries, Ulsan, S Korea in 1996 for Alexis Franchise Inc, Grenada. Two 12VP185 engines for propulsion. Built by Hyundai Heavy Industries. Entered service in South Korean waters in 1996. A 35 metre high speed catamaran ferry designed to carry up to 250 passengers. Two 12VP185 engines, each rated 2,185 kWb at 1,835 rpm, drive KaMeWa waterjets through Reintjes gearboxes to give the vessel a maximum speed of 45 knots. Built by Feadship - De Vries Scheepsbouw BV, Aalsmeer, Netherlands in 1998 for the Russian oligarch, Roman Abramovich. LOA 49.5m, beam moulded 8.2m, draught (loaded) 2.05m. Two 12VP185 engines, each rated 3,442 bhp at 1,950 rpm, and twin gas turbines drive three Lips water jets (two LJ-95DL, one LJ-110DL) to give a cruising speed of 38 knots and a maximum speed of 46 knots. Built by Trinity Yachts Inc, New Orleans, in 1998. Length 126 ft, beam 27 ft, draught 6 ft. Top speed 32 knots. Two 12VP185 engines, each rated 3,500 bhp / 2,611 kWb at 1,950 rpm, driving 52 inch 5-blade propellers through ZF BW-755-1 reverse-reduction gearboxes. 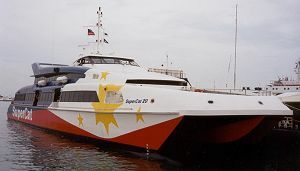 Two 50 metre high-speed trimaran ferries built by FBM in the Philippines, in 1998 and 1999, for Universal Aboitiz Inc. Each with two 12VP185 engines, rated at 2,180 kWb at 1,835 rpm, for propulsion. The ferries are designed to carry up to 404 passengers and have an operational speed in excess of 35 knots. Four Millennium series ships built by Chantiers de l'Atlantique at St Nazaire, France, between 2000 and 2002, for Royal Caribbean International (formerly Royal Caribbean Cruises Ltd). One 18-cylinder VP185, rated at 3,000 kWe at 1,800 rpm, for auxiliary power generation. The 294 metre, 91,000 ton Millennium series ships have 1,000 cabins and can accommodate up to 2,450 passengers. 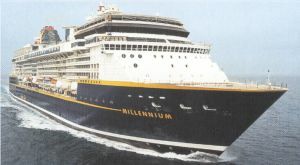 Right: Royal Caribbean cruise ship 'Millennium' fitted with an 18VP185 auxiliary. Four Radiance (previously Vantage) class ships built by Meyer Werft at Papenburg, Germany for Royal Caribbean International (formerly Royal Caribbean Cruises Ltd). One 18-cylinder VP185, rated at 3,000 kWe at 1,800 rpm, for auxiliary power generation. The 293 metre, 90,090 ton Radiance class ships have 1,000 cabins and can accommodate up to 2,500 passengers and 870 crew. 'Radiance' delivered in 2001, 'Brilliance' in 2002, 'Serenade' in 2003, and 'Jewel' in 2004. 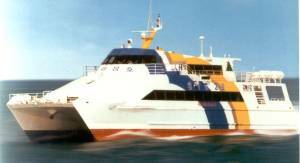 A 41 metre catamaran fast ferry built by Derecktor Shipyards of New York in 2001 for the Woods Hole, Martha's Vineyard & Nantucket Steamship Authority. Two 12VP185s, each rated 2,500 kWb, driving KaMeWa waterjets to give a top speed of 36 knots with a full load of 300 passengers. The vessel provides a year round passenger and vehicle ferry service to the islands of Martha's Vineyard and Nantucket. A 42 metre luxury private yacht built, circa 2002, in the USA. Two 18VP185s for propulsion, rated 4,000 kWb at 1,950 rpm, driving reduction gear boxes and KaMeWa waterjets. Its anticipated top speed was in excess of 50 knots. An aluminium monohull fast ferry built by Rodriguez Cantieri Navali of Messina, Sicily, in 2003, for Baleària. Length 83m, beam 13m. Speed 32 knots. Capacity 477 passengers and 90 vehicles. Four 18-cylinder VP185 engines for propulsion, each rated 3,700 kWb, driving LIPS waterjets through Reintjes gearboxes. 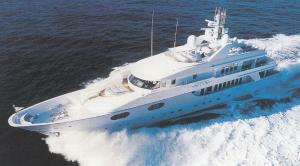 During sea trials in February 2003 she achieved more than 40 knots. Originally intended for operation on the Algeciras-Ceuta (Morocco) route, it is used for services between Denia on the Spanish mainland and the Balearic islands of Formentera and Ibiza. A 42.4 metre superyacht built by Millennium Superyachts, Aalst, Netherlands in 2004 for South Florida Yachts. Two 18VP185 engines and twin gas turbines drive three LIPS water jets for propulsion. Twelve fast patrol boats, some for the Vietnam Marine Police and some for the Vietnam Navy. Build of the first boat commenced in 2004/5 and the last will not be completed until about 2015/16. Each with three 18-cylinder VP185 engines for propulsion. The port and starboard engines drive propellers through conventional reverse-reduction gearboxes. The drive end of the centre engine faces forward and drives through a reverse 'U' drive gearbox to a propeller shaft which runs under the engine. Twenty eight fast patrol boats, being built by the Ching Fu Shipbuilding Company of Taiwan, for the Taiwanese coastguard service. Length 25 metres, breadth 6 metres. Each boat is to be fitted with two 12-cylinder VP185 engines, each rated 3,640 bhp, for main propulsion. The order for sixty 12VP185s (includes four spare engines) is valued at £39million. The engines are being built at the former Paxman Works at Colchester and will be supplied over a six-year period. The first two were delivered at the end of April 2014. The first vessel (PP-10051) completed its trials in early 2015. Two 45 ft Customs launches built in the late 1940s and fitted with 6RWM engines for propulsion. Subsequent HM Customs & Excise vessels supplied with Paxman engines for propulsion are listed in the table below. HMRC Vigilant (1965), fitted with two 6-cylinder Ventura engines for propulsion. HMCC Searcher Brooke Marine, Lowestoft Two 12RP200M (Valenta), 2,025 bhp at 1,500 rpm. HMCC Seeker Brooke Marine, Lowestoft Two 12RP200M (Valenta), 2,025 bhp at 1,500 rpm. Acknowledgement: I am indebted to Phil Atkinson, formerly Chief Engineer with HM Customs & Excise, for his assistance with information on the above vessels. Found among old Paxman papers were documents which give the following numbers of engines supplied or on order for non-naval applications, as at February 1978. As will be clear from the details above, many more engines have been supplied since that date. 1. CONNECT (A Newsletter for GEC ALSTHOM Diesels Ltd), No 3, Spring 1995, p.3. 2. CONNECT , No 6, Spring 1997, p.1. and CONNECT , Spring 2003 • Issue 14, p.11. 3. CONNECT , Spring 2003 • Issue 14, pp.13 and 17, and CONNECT , Winter 2004 • Issue 15, pp.10-11. 4. CONNECT , No 1, Spring 1994, p.1.